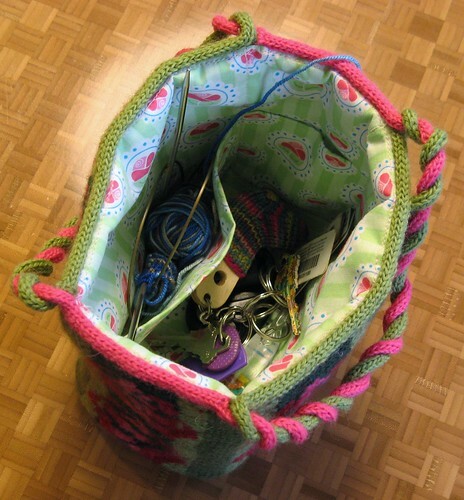 Introducing my latest pattern: Full Bloom Bag! 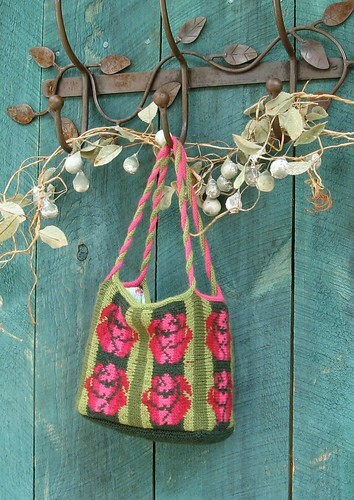 Design/Skills Needed: This cute little bag packs a lot of knitting technique into a single project: stranded colorwork, steeking, and applied i-cord work together to create a colorful bag inspired by old-fashioned wallpaper. 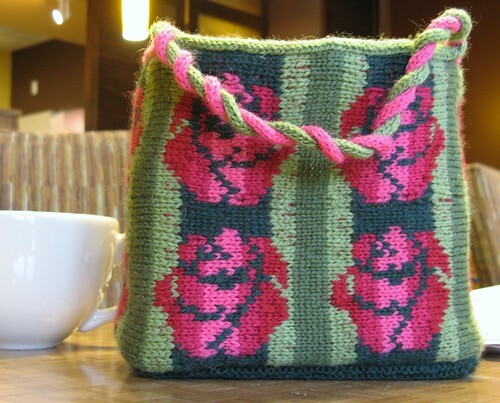 In order to achieve the vertical stripes on the finished bag, the body is worked sideways, in the round, using stranded colorwork to make the stripes and roses. The body is then steeked and the first and last rows are grafted. 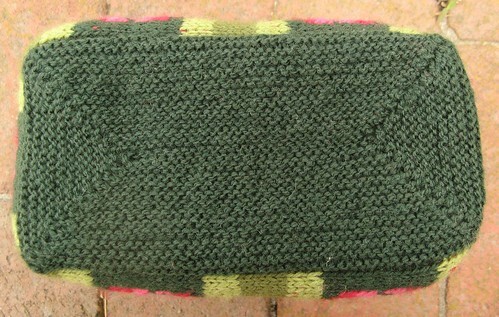 The bottom is worked in the round from picked-up stitches, and the top edges are finished with applied i-cord, which is then extended into i-cord handles. Directions for a simple lining are included in the pattern, but (dear reader) you may remember I blogged about how I sewed a lining with built-in pockets. If you make this bag, I urge you to give pockets a try! 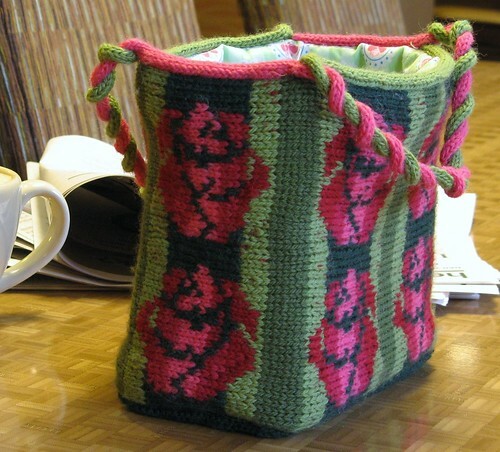 The bottom of the bag has mitered corners in garter stitch — sturdy and perfectly square. 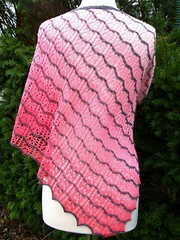 I had a really hard time letting go of this sample so it could sojourn to Knit Picks for review. I am anxiously awaiting it’s return, so it can be my cute purse and project bag for some time to come! So pretty! I love how those roses look.